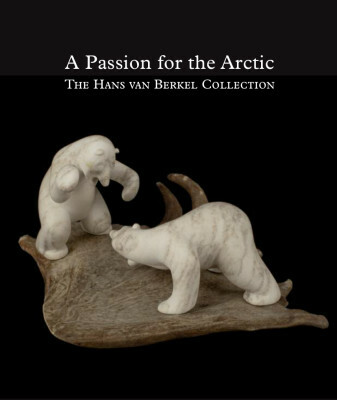 Collectieboek van Museum Volkenkunde, Leiden over de verzameling Inuit en Chukchi-kunst die aan het museum werd geschonken door Hans van Berkel. In 2015, the Dutch collector Hans van Berkel (1946), granted his private collection of Inuit and Chukchi art and handicrafts to the National Museum of Ethnology in Leiden, now part of the larger National Museum of World Cultures encompassing three museums in three different cities. From the early 1970s up till now, Mr. Van Berkel built up the most important and all-round private Inuit-related collection in the Netherlands, counting ca 700 objects. Hans van Berkel became inspired by the live and work of especially Canadian Inuit hunters and carvers during the early 1970s, due to close contacts with Leo Mol, a renowned sculptor in Winnipeg, Canada. Gifts from him were the first Inuit art objects in what later became the ‘Van Berkel Collection’. This book presents some of his most beautiful or interesting artefacts, objects with a peculiar history. Reflecting his special interests, shamanism and spiritual culture, are particularly well represented in a collection that portrays not only the skilled craftsmanship of Inuit and Chukchi artisans, but also shows the daily life of hunters, reindeer herders and their wife’s, and norms and values of these remarkable cultures of northern Canada, Greenland and Siberia.